A community pharmacy that looks after your health! Your health is the primary concern of both of our Columbia D&H pharmacies and our extensive products and services are designed to look after your wellbeing. We offer in person onsite care at our two locations and reliable, convenient and affordable online refill and prescription services. Our drive-thru window provides pick-up of what you need quickly and easily and our delivery service allows you to receive your medications conveniently at your home or work within our normal delivery radius. 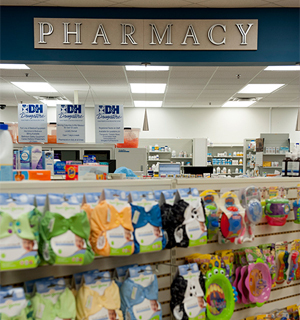 One-stop pharmacy services for all your healthcare product and prescription needs! 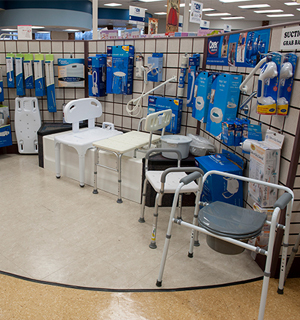 D&H provides an extensive variety of Over The Counter (OTC) health care products and Home Medical Equipment (HME) in addition to our prescription refill and prescription transfer services. We work with healthcare providers to stock or order those specialty products that are recommended in addition to your regular prescription. Our customer care programs and services include FREE kids' vitamins, SYNC My Meds, immunization and delivery. Our intent is to simplify the process and integrate community health care products and additional service needs into our two Columbia locations and serve Mid-Missouri. We provide pregnancy and baby supplies. We have products and recommendations for moms-to-be and new moms who should turn to D&H Drugstore for all their pre- and postnatal needs. 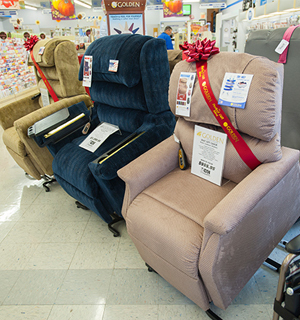 Our extensive gift department allows you to browse while you’re waiting for a refill or stop-in for that last-minute gift. And if you're hunting for that perfectly special card to wish someone ‘Get Well Soon!’ or ‘Happy Birthday:, you can find it at D&H!